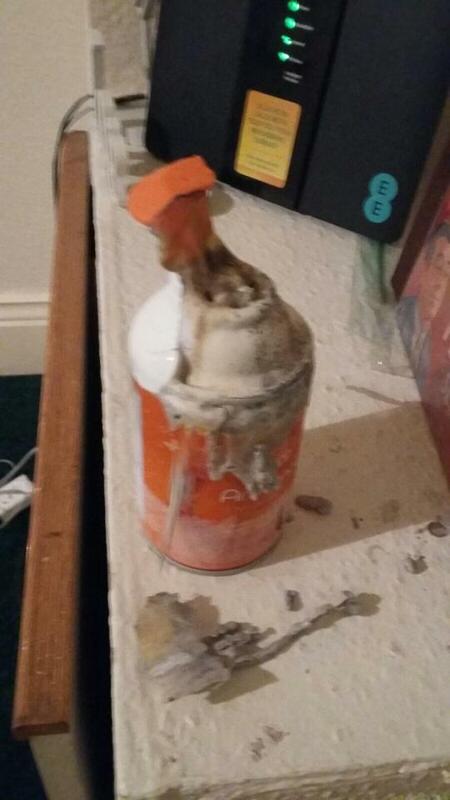 A young dad has spoken out about an ordeal in which he was woken up in the middle of a night by a large bang, only to find his Tesco air freshener had exploded. Edwin Du Plessis, 35, was abruptly awoken in the middle of the night by a loud explosion. Aghast, he ran downstairs fearing an intruder, only to find that his air freshener from Tesco had exploded into flames. 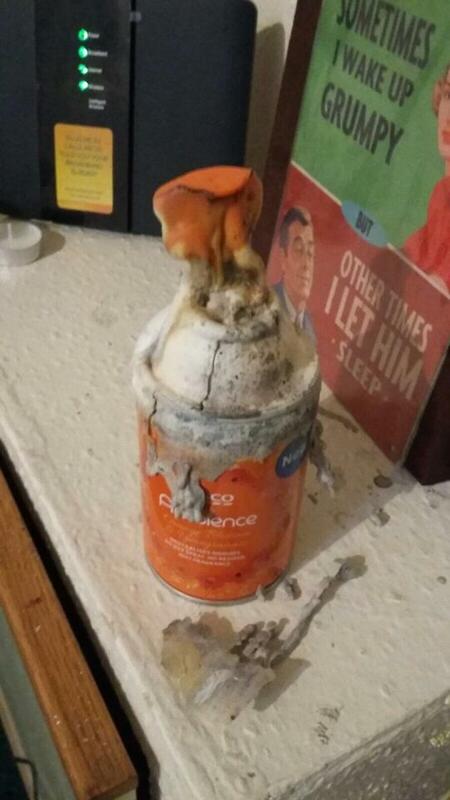 The 250ml Tesco Ambience Air Freshener was in flames, with the bottle melting at the heat of the explosion. Edwin immediately contacted Tesco's customer service, saying that the air freshener had scared the living daylights out of him. However, customer service merely told Edwin to return the item to the store at which he bought it, leaving him disappointed by their blatant lack of concern. Whilst the product's packaging states that it is highly flammable if heated, Edwin said that he had not used nor touched the air freshener, believing it to be a design fault. A Tesco spokesperson has told Edwin to return the product to the store, so that they can further investigate what happened. Perhaps if Edwin had been around when the explosion had happened, and the consequences more serious, Tesco would be less reluctant to help him.